Executive produced by Academy® Award-winner Alex Gibney of Jigsaw Productions, together with Academy® Award-winner Robert Redford and Laura Michalchyshyn of Sundance Productions, the thought-provoking CNN Original Series DEATH ROW STORIES examining the justice delivered for those who face the ultimate criminal penalty will return for a summer season on Sunday, July 13 at 10:00pmET and 1:00amET. The first five episodes of the series successfully debuted in early March; the summer season will offer three new episodes on successive Sundays, to be followed by encores of the five spring season episodes. DEATH ROW STORIES will be available, in simulcast, through CNNx for iPad, as well as through “Watch CNN” via www.cnn.com and CNN’s mobile applications. The summer premiere of DEATH ROW STORIES will be followed by the premiere of the new CNN Original Series, The Hunt with John Walsh (Zero Point Zero Production, Inc.), at 9:00pm ET/PT. Dave Snyder, Stacey Offman, and Brad Hebert are also executive producers for the series. When the spring season of DEATH ROW STORIES debuted in early March, it placed first in the cable news demo (adults aged 25 to 54 years of age), averaging 255k viewers, according to Nielsen Fast National data (vs. MSNBC at 117k and FOX at 103k). In total viewers for the series premiere, CNN placed second with 719k, a +196% advantage over MSNBC’s 243k. FOX averaged 990k in total viewers at 9pm. 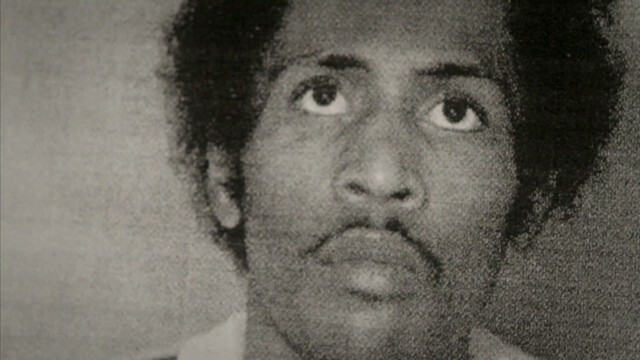 Viewers can find more information on other episodes of DEATH ROW STORIES by visiting http://cnn.it/1qJMijJ and by following @CNNOrigSeries via Twitter. Jigsaw Productions was founded by director Alex Gibney, and as such, the company has produced some of the most acclaimed documentary films in recent years, including TAXI TO THE DARK SIDE, ENRON: THE SMARTEST GUYS IN THE ROOM, the multiple Emmy® Award-winning HBO Films MEA MAXIMA CULPA: SILENCE IN THE HOUSE OF GOD, and Showtime’s Emmy®-winning HISTORY OF THE EAGLES, WE STEAL SECRETS: THE STORY OF WIKILEAKS (Focus Features), THE ARMSTRONG LIE (Sony Pictures Classics), and the recent FINDING FELA. From geopolitics to sports, from finance to music, all of Jigsaw’s projects reflect the myriad interests of its founder. In 2013, Jigsaw forged a partnership with Content Media Corporation, a global entertainment corporation, allowing it to expand into feature films, scripted and the unscripted television arena. The first result of that partnership, Death Row Stories, is an 8-part documentary series for CNN narrated by Oscar-winning actress Susan Sarandon with Gibney and Robert Redford as executive producers. Launched and founded in 2012 by Robert Redford and Laura Michalchyshyn, Sundance Productions develops and produces innovative, compelling television content for linear and digital platforms in the U.S. and around the world. Sundance Productions partners with leading story-tellers, directors, and producers for the production of authentic tentpole series and specials across all platforms. CNN develops original content through strategic partnerships and commissioned productions for television. Amy Entelis, senior vice president of talent and content development for CNN Worldwide, and Vinnie Malhotra, senior vice president of development and acquisitions for CNN Worldwide, oversee the acquisition strategy of documentaries for CNN. Malhotra manages the day-to-day operations and works directly with filmmakers to develop original projects. Other CNN Original Series include Anthony Bourdain: Parts Unknown, Morgan Spurlock’s Inside Man, Chicagoland, and Death Row Stories.